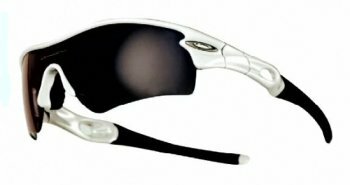 "Oakley boasts an internally designed lens widget that puts shoppers behind the lenses of its eyewear. The feature enables shoppers to change tints on various models of glasses and see what the world looks like through each lens and how it compares to the naked eye." "Online shoppers often miss the tactile qualities of in-store shopping, like knowing the overall feel of a product. These are tough challenges for any retailer to duplicate, but the Oakley site’s Lens Tints feature helps customers bridge that gap." Neben dem Linsen-Feature bietet Oakley im Online-Shop auch Image-Videos mit Promi-Testimonials und Mass Customization.